A number of times the question of the state prayers in American Morning office has been brought up as if this somehow invalidates certain points made criticizing the 1928 litany (see the Litany’s Faldstool— especially the comment section). The 1928 inserted a petition for the US President where the Crown and royal seed formerly stood. The problem with this insertion is it equates the US Presidency to Christian kingship. Christian kingship not only is rooted in the king as ‘first’ member of the local church, but in the English tradition, it possesses a sacramental and ministerial character that the modern Presidency repudiates. For classical high churchmen, there are further considerations regarding the order of the church under the dignity of Supremacy, and if this same dignity ought to be given to an office that constitutionally rejects duties in the local church and rendering it more or less unitarian in nature. Consequently, the 1892 litany was suggested as a correction to the 1928. However, the MP/EP state prayers was not addressed. One of the many liberal modifications to the 1979 prayer book was the liturgical reinsertion of the Kiss of Peace. For about six months I worshiped in an Episcopal church which often made use of the more conservative Rite 1. No matter how similar Rite 1 was to the 1928 communion office, the kiss of peace always seemed to ruin that sense of tradition. Even before I knew anything about liturgics, the kiss of peace always felt “hippie”. At the former TEC parish, the priest and entire congregation would mingle, hug, make small talk, too often turning the Pax into an intermission. At times people would even leave to catch coffee or make a phone call outside the church. It’s only redeeming quality in my mind was its potential to provide a time to bless and usher out possible catechumens. Anyway, the Pax seemed odd, and I had to ask if it was indeed an ancient practice of the church. This also required some digging into the prayer book. The 1979 BCP seems to throw a bone to each type of churchmanship. The Kiss of Peace appears to be something that might satisfy the catholic. By placing the Holy Kiss at the offertory, the ’79 appears to defer to the ancient Eastern practice, dating back to the second century. The “Western Pax” appeared a bit later, roughly the fifth century, in Rome and North Africa. Instead of being done before the anaphora, it would have followed the end of the Latin canon where the Paster Noster is found. This is also where the 1549 BCP and Sarum Mass locate the Pax. So, the ’79 bcp had at least two options, and TEC revisionists apparently favored the more “ancient” location. Not What it Seems: However, what is not said about the Holy Kiss is the rather sober manner which the primitive church administered it. Throughout the history of the Pax a fear of indecency or indiscretion is expressed. Thus, there is a certain restraint in its use. The Apostolic Constitutions confine the Kiss to estates within the christian assembly, namely, exchanging it between clerics in the chancel while laity pass it on to each other. But even amongst the laity the Kiss was carefully confined to gender: men exchanging amongst men, and women amongst women. Thus, the Kiss was never a “free-for-all” that bordered upon an intermission in the midst of the liturgy. As time passed, though the Kiss remained part of the liturgy, it was gradually substituted for less disruptive devotions. By the middle-ages a variety of alternate forms for the Pax existed both East and West– e.g., kissing the altar, sacred elements, a relic, the bishop’s hand, or a stole. A limited Holy Kiss is found in the marriage rite, e.g., “you may kiss the bride“, and originally it was an oculation that passed from the priest to the groom to the bride. The Peace was also abbreviated by confining it between priest and deacon, most likely leaving the laity to conduct their own private reverences separately in the nave. By the 13th century, osculatoriums, i.e., the “pax-board” or “pax-brede”, became common in England. Pax-boards were small plaques decorated by crosses that were kissed by the celebrant and then given to the congregation while at the altar rail. But even this practice gradually passed away. If working from the Sarum, the Priest is assumed to be facing ‘choir-side’ while addressing these “clerks”. But in high mass ‘the clerks’ would naturally include the Deacon, acolytes, and perhaps cantor/choir. The Pax is not the only salute given between “clerks” and Priest. Unlike later BCP versions (1552/9, 1662 1789), the 1549 preserves the privilege of lower orders acting as a chorus, giving the “the clerks” more exclusive roles such as chanting the Gloria in Excelsis, Kyries, and the Angus Dei. This seems to give a more prominent role to assisting clergy that somewhat disappears after 1552, giving over to the ‘general priesthood’. The Pax Today: Even in more recently ‘conservative’ revisions, such as in the Anglican Missal, the Pax is normally addressed to the people. However, the 1979 takes the Pax to a new level. Rather than make opportunity to genuinely restore an older liturgic, the 1979 appropriates what might appear an apostolic Pax, but uses it as pretext to expand the realm of ‘democractic’ worship. Furthermore, if the 1979 had actually continued the catholic direction that inspired earlier revisions like the 1928, the 1549 BCP (closest to the English Sarum) would have been the natural and more organic starting point rather than leaping back to mirky apostolic custom. 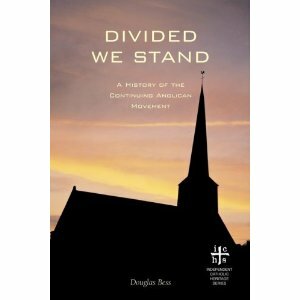 If revisionists had started from the Sarum as the Anglican Missal had done, the newer BCP might have enlisted the Pax as a embankment to Anglican ecclesiology, emphasizing the special dignity once held between deacon and priest. Instead, the Pax is made a liberating gesture that frees the people from the mediative roles of priest-deacon, of which self-conscious ecclesiastical society breaks down for three to five minutes after the offertory. The 1979 appears to advance catholic ceremony but instead manipulates antiquity to make headway for democratizing movements in the liturgy. When praise music is added, there remains very little of Rite 1 that’s traditional. If Ordinaries permit the Pax (and some do with the 1928 BCP), they might consider the 1549 BCP’s application which favors the celebrant facing the deacon along “choir” or “clerk-side”. Liturgically, the 1549 might be treated as an opportunity to better highlight the function of the deacon as a second representative or leader of the people. This point was made earlier at RTBP while writing on the possible benefits of keeping northside celebrations (as understood by Dearmer). Not only might we continue certain customs peculiar to earlier 1662 (northside) and 1549 (the pax) prayer books, but Anglicans can also use less well-known rubrics to slowly weaken the democratization of liturgy that has occurred over the last forty years, starting with a greater prominence to those lesser offices often acting in the chancel. The way we pray is the way we believe, etc..
As Lent passes and Easter is entered, Anglicans might consider how the law and gospel work together not only after church but in worship. When the faithful are dismissed from the communion, dismissal is not given to live as “hearts see fit” (sneaking in a coffee break before the end of divine worship, creating an intermission for small talk and short flirts, leaving the altar in the midst of public liturgy, etc. ), but the Mass is given to live in Christ by His will and commandments. This ‘third use’ of the law ought to regulate even the Pax, not given licence to disorder but to enter Christ’s humility, thereby glorifying the Father. Charles Bartlett lives and works in Northern California. He is a member-at-large in the UECNA, worshiping in the REC by bishopric dispensation. His blog, Anglican Rose, explores the nature of adiaphora in England’s Church beginning with late-Henrician standards. 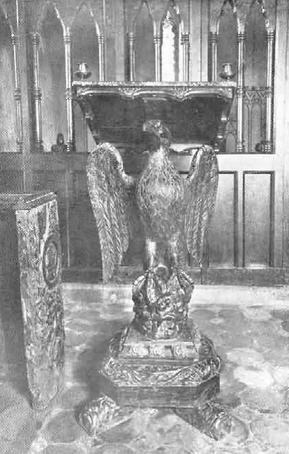 (A similar article dealing with the Daily Offices was also written: Supremacy in Offices) The faldstool in English ceremony was the movable seat otherwise reserved in the chancel as the chair for the visiting Bishop. 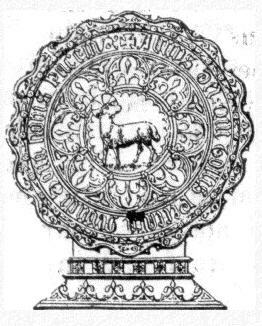 From the faldstool, an Ordinary passed authority by laying on hands of both confirmed laity and clergy. 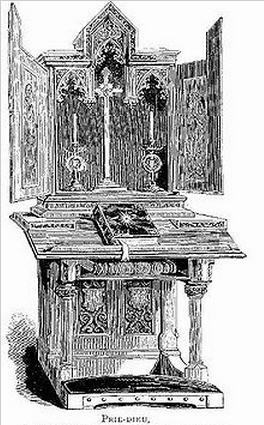 But the faldstool also doubled as a prayer desk upon pentitential occasions where the bishop rested his arms upon the faldstool’s cushion while kneeling before it. The idea of the bishop’s faldstool representing a throne of authority in the church is embedded the BCP’s litany. From it we learn the peculiar order of authority within the Church of England. Though today the prayer desk has replaced the faldstool, nevertheless, in the Parson’s Handbook the Rev. Dearmer explains the Litany is to be be given in the old position of the fladstool, namely, in the midst of the church. According to Dearmer, the Litany should be recited regularly, normally Wednesdays and Fridays as well as between morning prayer and ante-communion on Sundays. But it is especially said upon penitential seasons. I’ve always considered the communion rubric for standing on the North Side of the table to be incredibly odd. It’s always very much a challenge to envision a northside celebration, especially when there are close to nil churches doing it. We either have the priest facing the people during the recitation of the canon, or the priest faces eastward. But what is ‘northside’? The 1662 BCP rubric for communion says, “And the Priest standing at the north side of the Table shall say the Lord’s Prayer, with the Collect following, the people kneeling”. This starts the antecommunion and the rest of the liturgy is finished in the same way. The 1637 BCP says the same, but the 1928 somewhat simplifies things by omitting the rubric altogether. While probably a dead letter, the motive behind ‘northside’ originally involved a desire to include the people in the prayers and blessings of the church. The Reformation of the Mass was, firstly, concerned about the liturgy being 1) audible, and, 2) visible to the people. If a priest stood ‘eastward’, then manual acts were naturally blocked from view. Moreover, unless the bread was elevated above the shoulders, its visibility was also obstructed. Celebration against the east wall, especially in cathedrals with long choir stalls, would likewise hinder audibility. Another commenter observed the priest on the north side with deacon on the south would have made washings difficult, and this was also probably an intent. However, the Puritan movement during Edward VI and Elizabeth I solved this problem by replacing fixed altars with movable tables, relocating the latter in the front of the chancel (between the choir) or, more often, the middle of the nave. The priest then celebrated the eucharist from the northside of a table which was often oblong in shape, meaning the table was orientated parallel to nave’s length. Thus, the priest stood in the nave, faced northside, and had the length of the table before him. If this is very confusing, see this link: the Pre-tractarian Church. “In the editions of this Handbook preceding that of 1907 I deliberately left open the vexed question as to whether the priest should stand at the north, south, or middle of the altar. I have, however, now come to the conclusion that he should stand before the north part of the altar, mainly because more recent knowledge has resolved the doubt raised by the Lincoln Judgement, which, in a very thorough statement of the case, declared the eastward position a very thorough statement of the case, declared the eastward position throughout the service to be legal, but left the part of the altar undecided. Archbishop Benson took the following view:– The position of the Holy Table had, in 1662, been lawfully changed, but yet the revisers left the old rubric ‘standing at the north side’, although the Tables now stood altarwise, and had no north side in the sense of the rubric; therefore the words ‘at the north side’ are now ‘impossible of fulfillment in the sense originally intended’ (Lincoln Judgement, p. 44), and for the priest to stand at the northern part of the front ‘can be regarded only as an accommodation of the letter of the Rubric to the present position of the Table’ (ibid, p. 41). This position does in any case keep close to the letter of the rubric; and it was adopted by a good many after the Savoy Conference, when the Bishops declared in favor of the eastward position. The north end has never been authorized since, but the north part of the front was used at St. Paul’s in 1681, and in other ways is shown to have high sanction from 1674 to 1831. Nor was it an innovation to commence on the north side of the sanctuary: it was done at Westminster Abbey and by the Cluniacs before the Reformation, and is still the custom of the Carthusians. Some have urged that the priest should stand at the south and not the north horn, on the ground that he began the service thus before the Reformation. This, however, is inexact. It is true that the Sarum Missal has ‘in dextro cornu‘” but at low Mass the priest vested at the north side of the altar, the chalic and paten lying in the middle and the book on the south side. He thus began Mass at the north side, and in this position he said amongst other things those very prayers which now begin our service, viz. the Paternoster and the Deus cui omne cor. Furthermore, to begin at the south is not even an accommodation of our rubric, and it has never been adopted under authority since the altars have been set back in their old position. Some have recommended the priest to stand ‘afore the midst of the altar’, because this was his position under the First Prayer Book; but this at least gives teh impression of disobeying our present rubric; and we have perhaps no right to imagine that the revisers of the 1662 meant the priest to revert to the custom of 1549 since they did not say so. They kept the words ‘north side’; and, as we have seen, ‘north side’ is good English for ‘sinistrum cornu‘. The problem remains for Dearmer how the elements are made visible. Dearmer feels, though the priest stands on the north or gospel side, during the words of consecration, with the priest still facing eastwards, the bread ought be raised to “the level of the mouth” and the fraction thus made visible to the people behind. Meanwhile, the cup should remain on the table and the priest bow during that portion of the institution. This seems a bit odd to me, treating species differently, but Dearmer’s point is such satisfies the canon’s principle of visibility. I have to ask does this suggest a kind of concomitance– what is done to one kind is done to the other? Liturgics of Minor Orders: Dearmer offers the best answer to the north side question. If anyone has ever found a youtube video showing north side, please share! My own preference would be to see Priests recognize the north side rubric despite its obsolesce since 1928. 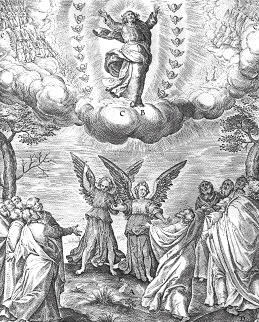 The 1928 BCP was an attempt to retrieve the 1549, and, ironically, the 1549 version has the priest turning to the choir to declare “the peace”, upon which the choir responds, “and with thy spirit”. This hearkens to the old Sarum where the Priest would actually begin the Pax with a kiss to the deacon or clerk, likewise turning north to do so. Calls and responses to choirsides might occur elsewhere in the liturgy, but traditionally the choir did have a more prominent role in the liturgy than today, singing introits and graduals. Liturgics today are very different from the Sarum. Minor orders are virtually dissolved into the “people”, and Anglican liturgy is conducted almost like a perpetual low mass. However, the 1549 and perhaps Dearmer’s northside retain the best of both eras. The north side (gospel side) seems a distinctly Anglican ceremonial position. One advantage relevant for today might be the further de-emphasis that modern liturgics (both Vatican II Roman and neo-Anglican) tend to put upon laity in the attempt to democratize services and flatten ecclesiology. A sense of prelatial space might thus be engendered by giving choirs, clerks, and swornmen heightened roles as was done in olden days when the church was conceived as ordered society with ranks and hierarchies rather than as an undifferentiated mass of ‘equal’ priests?